When I started the supervisory education program in CPE, I noticed that there were hardly any meaningful trails about the process on the internet. I decided to write through my process. So I have some “public process notes” on the blog in order to keep track of some of my experiences. Related to that, I’ve been working on materials for a committee appearance in early April. While I won’t go into much about the appearance on this side of the meeting, I want to put up a few thoughts from the three papers I prepared for submission to the committee. This slice comes from the section on my CPE pilgrimage. Using my experiences in CPE, this particular paper is a reflection on my learning issues, my process of professional development and growth, my evolution and personal integration, learning experiences, and self-understanding. My section here is essentially my professional development portion. I see chaplaincy and supervision as expressions of pastoral ministry. When I serve in the church, that community is the context for my pastoral ministry. For supervisory work, the context is CPE. The work is still pastoral. To track my development in ministry, I draw upon a tool I’ve used in teaching. I’ve worked with students on developing rules of life as a vehicle for exploring and containing practices for development. When I think of my own process of development, I think about the rule which I include as a process of my development. Included in the process is my intellectual, physical, spiritual, and emotional development; there is room for each. The elements relate to my growth, even if each is not happening while I’m in the professional setting. For example, if I’m not taking care of my body, which my work setting may assume I am, I’ll be no good for the work of spiritual care of patients or families. I use my birthday as a time to reflect upon my work and life and how I can continually develop. I acknowledge and celebrate how I’ve developed and I spend time thinking through how to continue doing so. As I’ve gone along, other moments have emerged to augment what consideration I have during my birthday. These include an annual assessment from my denomination (March); the beginning of a semester for the classes I teach (late August); the ending of the classes (May); the start and end of CPE units will fall into this developmental plan. At a micro level “processing our process” is something that I’ve drawn from my training supervisor, and that is a constructive way for me to regularly attend to the work I’m doing. In terms of content, the process of development includes 1) noticing areas of weakness or interest that I might address in an upcoming year; 2) getting some consultation from the people within my “venues of growth”; 3) listing ways for me to give room to my new or abiding interests; 3) locating strategies for addressing my areas of weakness; 4) implementing those ways and strategies; and 5) evaluating myself in a way that makes sense for the area of development. CPE has been a part of that process. I came to CPE because it was a way for me to respond to my needs for continued development. When I participated in my first unit and certainly since then, the process has been substantial for my growth (I’d point to my student evaluations to revisit some of those learnings). I’m reading Pamela Cooper-White’s book, Shared Wisdom: The Use of Self in Pastoral Care and Counseling. It’s essentially a book about countertransference and it’s good use in the pastoral ministries of care, counseling, and psychotherapy. I grabbed the title as one-to-read at the beginning of my residency and mostly because my previous clinical supervisor in Urban CPE suggested that I continue to explore the notion and practice of “use of self” in my work. I hadn’t read Cooper-White’s work before I heard that direction from my supervisor. 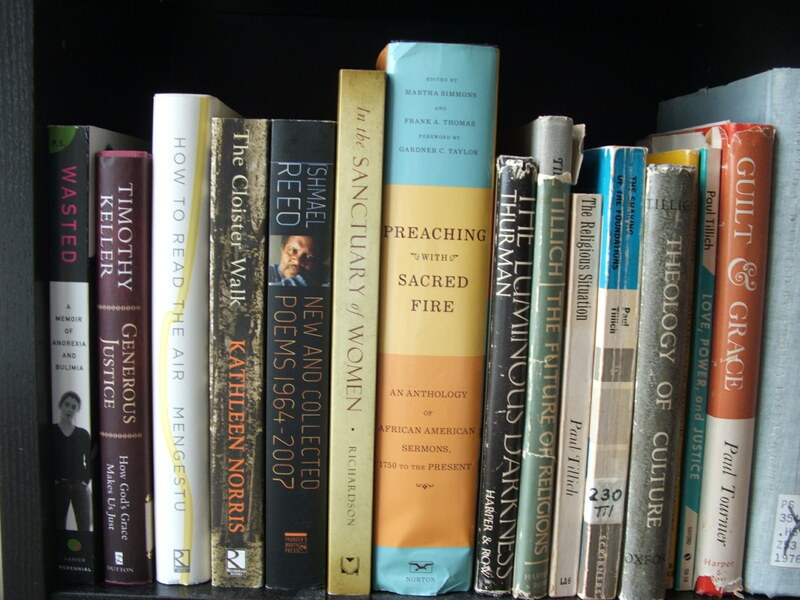 When we started our residency, we were given the option to choose one book to read and review in place of one verbatim. So, I’m reading Shared Wisdom in order to relay what findings I’m seeing and how they relate to chaplaincy in particular and to pastoral ministry in general. I’m not going to review the book here. I’m 90% through it, but I want to finish it before commenting deeply on its high significance, even for ministers without any real introduction to pastoral care literature, psychodynamic theory, or the variety of approaches to pastoral counseling. The book is a great introduction to all those in my view, though it doesn’t intend to be exhaustive in that introduction. Not only is none of us immune to the occurrence of unanticipated enactment moments in deep therapeutic work, but I would venture that none of us is immune to at least occasional seductive desires to be the omnipotent healer. While this probably does not constitute an entrenched, predatory charaterological pattern in most practitioners, the very dynamics that often draw individuals to pursue caregiving professions virtually guarantee an intensification of unconscious impulses along a healer-healed axis. Grandiosity may not only appear in the guise of being the special healer of our patients. It may also appear in the form of overestimating our capacity to contain and analyze all the possible meanings that can arise when enactments do occur. As Arnold Goldberg has stated, many enactments may not in and of themselves constitute anything overtly unethical in the moral sense. However, we must acknowledge our limitations in being able adequately to process these enactments and to contain the energies they generate. She reminds us that enactments happen. She pushes us to question our self-understandings as leaders, particularly of the omnipotent sort. She says what most don’t know: certain kinds of people go into ministry and we generally have certain impulses. She uses the word grandiosity which in itself is a nudge (or a wall) worth lingering with. She writes about limitations and the notion is deeply theological, anthropological, and ethical. From John Ackerman’s Listening to God (pg. 67). Michael Hyatt, a communications and leadership specialist, offers ten ways to read a book. Stop by Michael’s site to see the full post and to keep up with his wisdom. Don’t feel that you need to finish. Start with the author bio. Quickly scan the whole book. Take notes in front or in the margin. Use a set of note-taking symbols. Dog-ear (or bookmark) pages you want to revisit. Review the book and transfer actions to a to-do list. Relevancy is not always bad. We are culturally bound creatures who, whether we try to or not, will speak and act from the cultures that have formed us. But there is a considerable difference between acknowledging our culture and favoring its values and spokespeople as evidence of our ministry effectiveness. Click here to read David Swanson’s article at our of ur. I asked Sonia Wang, a friend and member of New Community, to write this post about the role of faith in starting a school. It’s a great reflection pulling belief together in her life. Here we go. About three years ago, a few of my colleagues and I found ourselves disgruntled about the obstacles standing in the way of our students’ learning. It seemed that learning had been reduced to mastering basic literacy and numeracy skills, teacher voice was constantly overlooked if even ever sought, and school metrics were prioritized over authentic learning. It was the result of systemic tensions that continue to plague our public education system, and at the core, our community’s young generation of students. We thought to ourselves: what would a school that was created by a group of educators who have been in the classroom look like? We tossed a few ideas around- a focus on social justice, fostering qualities of resilience, empathy, and curiosity, and celebrating collaboration and discussion. In the case of Chicago Public Schools (CPS), we knew the only possible route we could take as a group of educators was to apply for a charter. A lofty, pie in the sky thought…some would call the whole notion sticking our heads in the clouds. However, as I prayed through the initial process, it all just made sense. From unique corners of our teaching experiences, God brought together six teachers, with a diverse background of life experiences. We spent the first 2 years figuring out what this “school” of ours would look like. With the pending political change in Chicago, there was no sign of new charter applications being considered in CPS. During these two years, we began to form the foundation of our school, but with the unknown looming over our heads, it continued to feel like a “project” rather than us pursuing our vision. In these two years, two members decided to leave the group and doubts filled our head. 1. I would continue to remind myself that God’s hand was in all this but a fear of failure overwhelmed me. So I was stuck in a place of paralysis—wanting to seek support and prayer from my community but not wanting to tell anyone about it. As is the case, once you go public, it becomes more real. And in that moment, the school did not feel real at all. 2. Then there was the overwhelming doubt that I tried to avoid over and over but there it was always—what if it doesn’t work out? What I if I waste years of my life, in my “prime,” pursuing this lofty goal that we’ll never be able to achieve? I would sometimes think to myself, during this time, how I could be doing A, B, and C if I weren’t working on this school… After all, how often do you see a group of 20-somethings starting a charter school when most charter schools are started by a management organization with a track record? Perhaps it was circumstance that changed things or perspective, or both. But I cannot deny that God is the orchestrator. In the third year, God tugged on my heart to share with my community- my close friends and my church family. The overwhelming support and excitement they displayed gave me the energy to keep pushing for my school even when it felt like it was a flat attempt. Through the support I was also reminded of the big picture—I wasn’t merely trying to open a school; God created this space where I saw something problematic and rather than sitting in it, He gave me the opportunity to respond to it. And that in and of itself was something for me to embrace. It became not about me but about who God is—how big He is and how great His glory is. And as this truth settled in me, I approached this endeavor less as pursuing my dream but an opportunity to respond to God’s glory. The third year of this process also became a whirlwind of an experience. At the start of this year, CPS put out a call for applications for charters; luckily, those two years of groundwork our team started paid off. We got together our application and submitted it. Late June we received approval to move into the next phase, which consisted of completing a proposal that was intense and comprehensive. Things started to take tangible form. From community partnerships to facilities, God provided and blessed us one thing after another. He connected us to people who connected us to other people who then provided services to us, such as building inspections, real estate research, financial consulting, etc. Word about our work in our proposed community spread and as we walked down the street, community members would ask about the school-when is it coming? Where can they sign up their child for it? Could they request that we hold a spot for their 2-year old? Sure enough, through Him, I have come to this point in starting a school—learning to wait in faith until a decision is made. However, as I think of the school we have proposed and the way our work has brought together a group of strangers, the Design Team, Board Members, and community members, united by the single vision of a south-side charter school that celebrates students for their voice and their individual strengths, I know that His work has already been done. And I am excited to see what more may come about through His power and might!